Despite heavy criticism, one must admit that the older Samsung’s TouchWiz UI and the now Samsung Experience UI has contributed a lot to the overall features in Android in recent years. 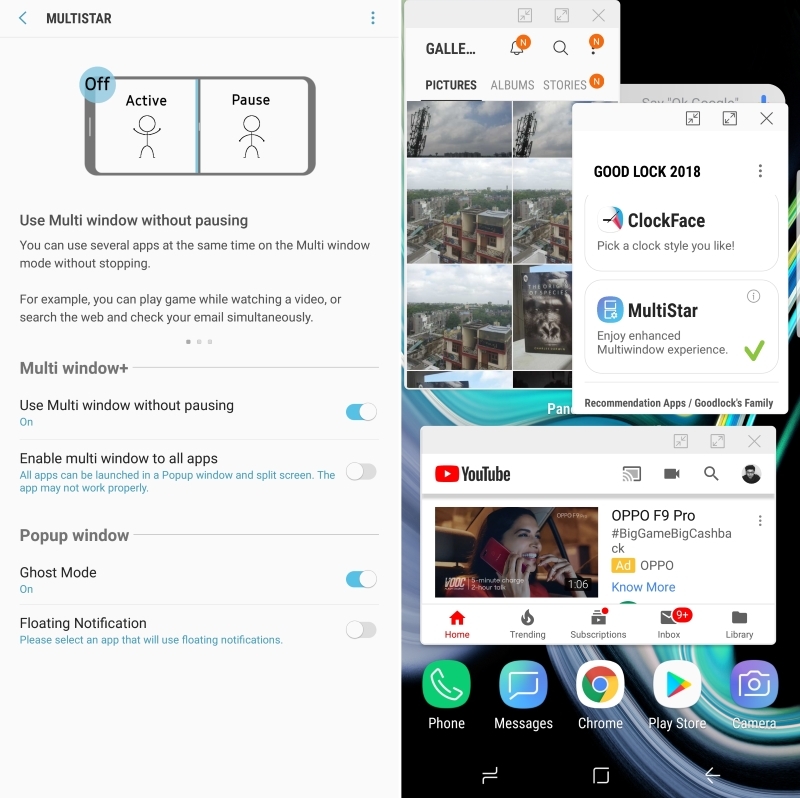 One of the best examples of this is the split-screen functionality, which was introduced by Samsung on their Galaxy Note series, which later got implemented in Android Nougat. Now, recent reports suggest that Samsung might have brought another feature for the split screen functionality which fixes some long existing problems with the feature. 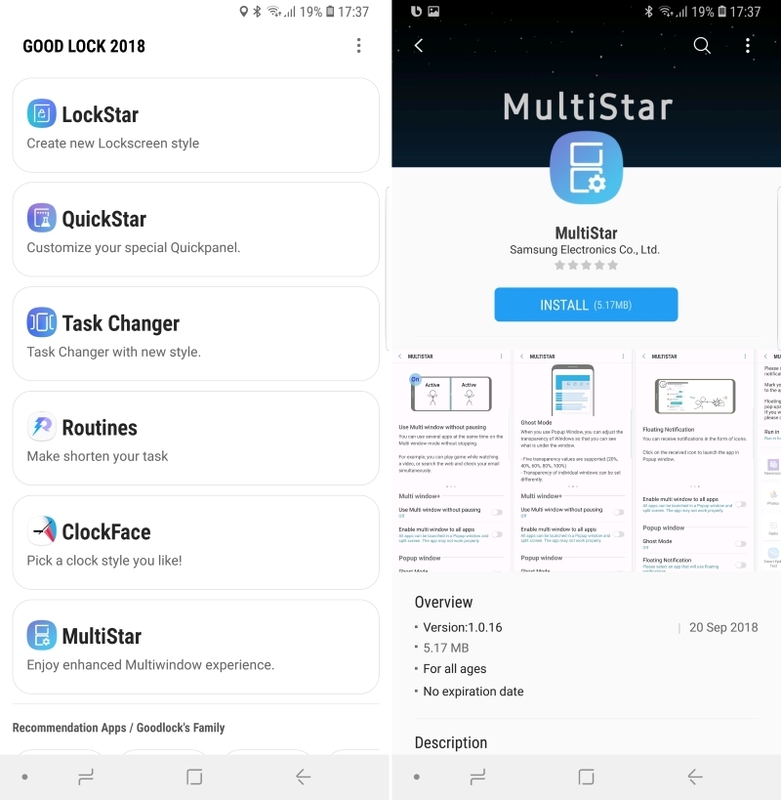 Samsung has rolled out a new MultiStar module for Good Lock, which basically enhances the entire split screen experience on the device. It allows the user to forcibly enable split screen mode on any application and adds to that by keeping both windows active. I know, many of you must be wondering that hasn’t this feature been around in Android’s developer options for a long time? Well, while Android has supported the ability to force any app to work in split screen, it is still a pretty broken feature, since it still doesn’t work on most apps. What’s more is that plenty of apps pause themselves once they discover that they’re not the main window, that is, the one which the user is interacting with. However, with Samsung, all the apps stay active. In fact, the module allows you to actually play two games at the same time, or watch Netflix while messaging someone on WhatsApp (Netflix support PiP but not split-screen multitasking). Oh, and if you thought that was it, wait, there’s more. The fact that this feature is on Samsung devices, allows you to club Multistar with Floating Windows. As such, you can use all the apps in floating windows. The MultiStar module currently supports only Android Oreo 8.1, since it is based on Android API 27. As such, the feature is currently available only on the Samsung Galaxy Note 9, and on the recently leaked Pie builds for the Galaxy S9/S9+. To install this on your device, just head over to “Galaxy Apps” and install “Good Lock” app. Then, open the Good Lock app and install the MultiStar module from within, and that’s it.